Ministry of Information &Broadcasting, in collaboration with Confederation of Indian Industry, is participating at the Berlin International Film Festival(Berlinale) 2019. 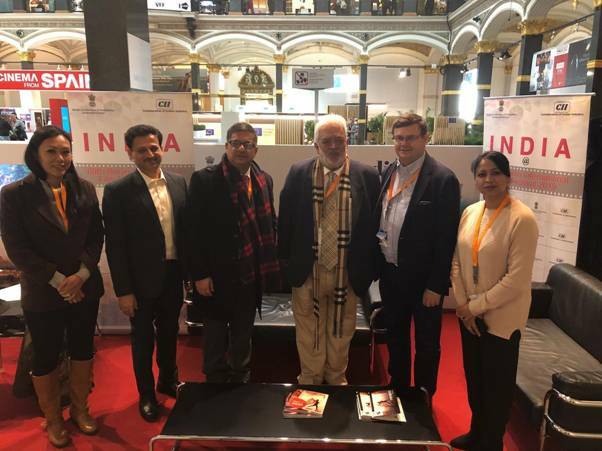 India Pavilion has been set up at Berlinale to showcase Indian Cinema at the global platform and facilitate new business opportunities in Media & Entertainment sector. 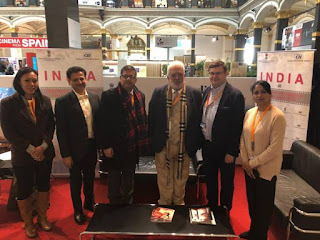 The Indian Delegation at Berlinale met with Mr Pascal Diot, Head of Venice Production Bridge, Venice International Film Festival. During the meeting, Mr Diot expressed his interest to work with India and IFFI. He also emphasised on giving prominent presence to India and IFFI 2029 at Venice International Film Festival 2019. The Delegation also met Ms Hannah Fisher, Senior International Program Consultant, Heartland Film Festival, Indianapolis, Indiana, USA; Ms. Annabelle Sheehan, CEO, and Ms. Jasmin McSweeney, Head of Marketing, New Zealand Film Commission; Mr. Ian Wallace, Manager, Audiovisual Coproduction for Canadian Heritage among others. Ms. Fisher talked about opportunities of future collaboration with IFFI 2019 and discussed scope of working together to showcase India at the Heartland Film Festival and their participation at IFFI 2019. She graciously offered her participation and support for IFFI 2019. The delegation from New Zealand Film Commission expressed their interest to work with India and discussed on taking up progressive developments regarding the India-New Zealand Co-production treaties. The Indian Delegation, through these interactions, promoted Golden Jubilee edition of IFFI, ease of shooting films in India through Film Facilitation Office that facilitates Single Window Clearance for film-makers and provides the platform for ‘film tourism’ in India through the website www.ffo.gov.in. 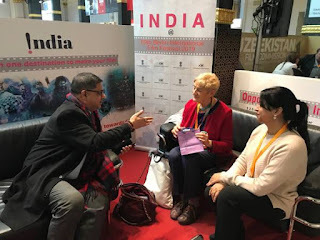 The Delegation also explored opportunities regarding co-production with India and collaborations for films with international production houses.